If you're looking for a great range of cheap car hire in Belgrade, you will want to compare prices between the huge number of car hire suppliers offering collection available at all major airports. Simply select your preferred pickup location in Belgrade and the relevant dates and times for pickup and drop off, your preferred car type and include the age of the main driver, then hit the button to get a quote. You can compare prices and book your car online easily and quickly. Belgrade's most popular form of public transport is the tram; these tend to be rather cramped and old, as is most of the city's public transport. 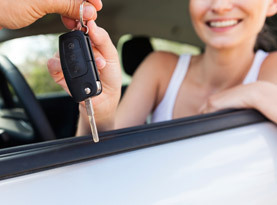 To avoid having a negative experience, the best way to get around is with a car rental. Nikola Tesla International Airport is located just 12kms west of the city centre and regularly receives passengers arriving from around 40 worldwide destinations. This is a great place to pick up your cheap car hire in Belgrade, although as you will want to make a quick getaway it is best to book in advance. The capital of Serbia, the name Belgrade means 'the white city' and the city gets its name from the plethora of imposing structures and mighty monuments such as the Kalemegdan and Belgrade Fortress, all of which can be accessed by cheap car hire in Belgrade. Many visitors are drawn to the impressive St Sava Church, which is the world's largest Eastern Orthodox Church, while lovers of the arts will want to enjoy the spectacular opera, ballet and plays shown at the National Theatre. Belgrade's moderate continental climate is comprised of four seasons and the hottest month is usually July with average temperatures of 220C. Temperatures often soar as high as 300C, however, and even in the winter this can be a very pleasant place to take a trip along the Danube or wander through the city squares.